Two Swindon Town fans were discussing the club’s sole season in the Premier League (or FA Carling Premiership, as it had just been rebranded), 1993-94. The Robins finished bottom of the table, ten points behind 21st-placed Oldham Athletic and 13 off safety, conceding 100 goals in their 42 games. There wasn’t too much that was memorable, save perhaps for a 2-2 draw with Manchester United, which saw Eric Cantona receive the first of two red cards in four days for attempting to pierce John Moncur’s chest. The answer from Supporter A was that he couldn’t remember, thus giving himself away. 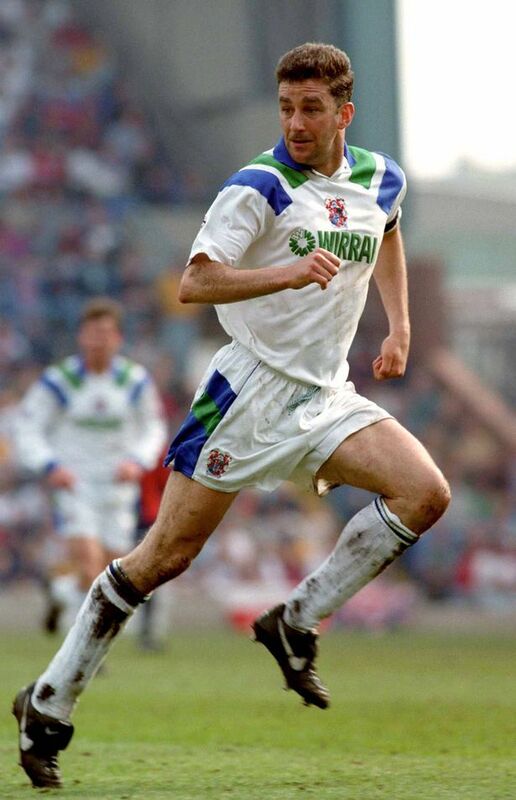 In gaining promotion from Division 1 via the play-offs in 1992-93, Swindon had worn a green geometric-patterned away shirt with navy shorts (that site is a great resource, by the way) but that was replaced with a Brazil-esque strip – yellow and green shirt, light blue shorts and white socks. It was the white socks which proved troublesome in the very first game of the season, a 3-1 loss at Sheffield United, who wore white shorts and socks. 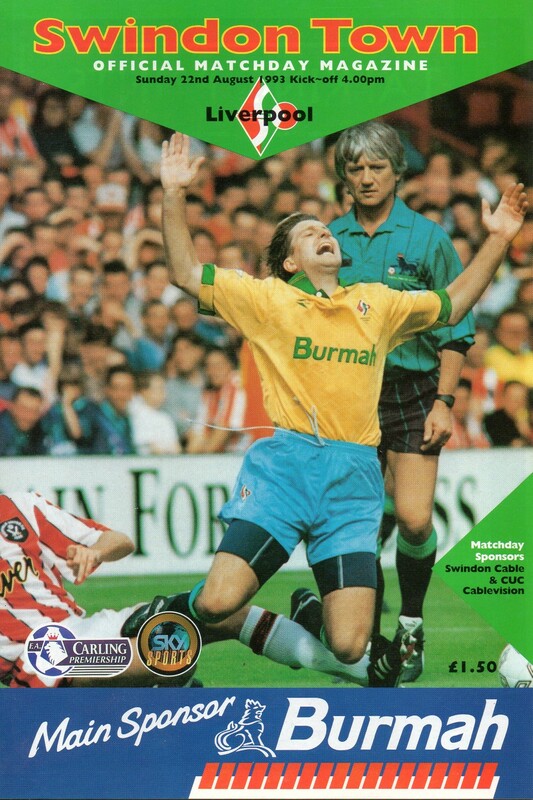 With no alternative sets, Swindon ended up wearing the Blades’ navy away socks, though the jade tops almost matched the Robins’ shorts. With West Ham also in white shorts and socks, something would have to be done, and Swindon came up with a make-do-and-mend solution. The red home socks were chosen, but, clearly feeling that yellow-sky blue-red would look bad, they decided to switch shorts too, looking slightly like Watford from a distance. While a 0-0 draw gave them their second point of the season, they didn’t put that down to the combo being lucky and returned to looking – if not playing – like Brazil on their travels. Eventually, a blue set of socks were sourced and worn at Aston Villa and Arsenal.